Call 1-800-223-6565 To Start Planning Your Canoe Trip. 2000 protected Lakes reachable only with a canoe, a permit and a love of adventure. The Boundary Waters Canoe Area Wilderness, when combined with Canada's Quetico Provincial Park, just across the border, offers over two million acres of island-studded lakes and pine-covered forests that are accessible only to canoeists. Created by glaciers and protected by the Federal Government, the BWCAW is a very special, natural place. 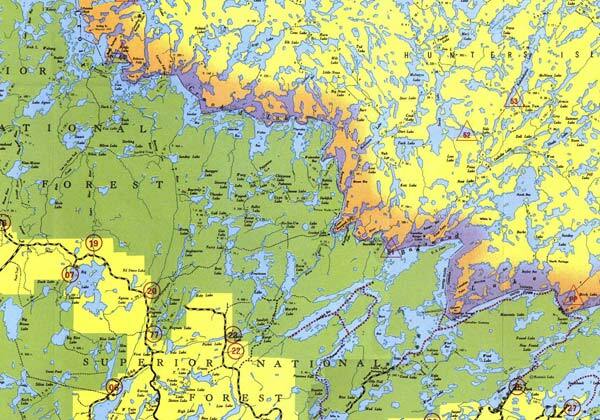 To read more about the Boundary Waters, Click Here. We are canoe trip outfitters in Ely, Minnesota. 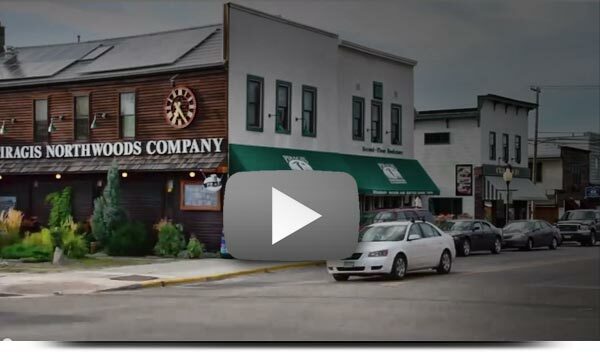 Ely outfitters like Piragis Northwoods Company rent canoes and camping gear. We'll plan your BWCA trip and get your canoe camping permits with efficiency and expertise. Please contact our Canoe Trip Outfitting Department (1-800-223-6565) for more information. We are a Cooperator with the USDA Forest Service under the Superior National Forest. We issue permits into the Boundary Waters Canoe Area Wilderness (BWCAW), part of the National Wilderness Preservation System. 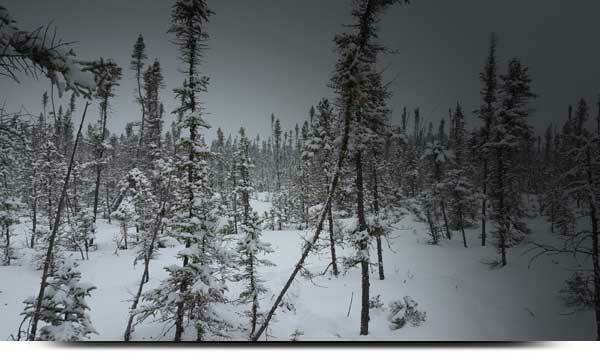 This business operates within the Boundary Waters Canoe Area Wilderness in the Superior National Forest. As a Cooperator with the Forest Service, we are an equal opportunity service provider. Forty-Two pound canoes save your back on the portages and make every trip enjoyable! 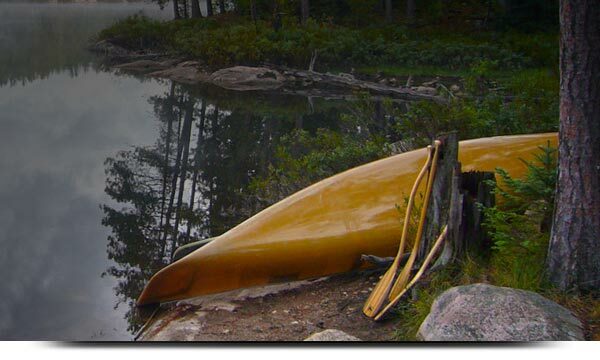 Kevlar canoes from Wenonah Canoe and Northstar Canoes are the finest canoes available and a perfect match for wilderness country. We are a family owned and operated Canoe and Kayak Shop in Ely, Minnesota, "the canoe capital of the world." Call Steve Schon at 1-800-223-6565 for a free canoe or kayak consultation today. At the end of each season, we sell our entire rental fleet of used canoes and used kayaks and used Stand Up Paddle Boards. Lightweight canoe camping gear made to perform in wilderness settings. 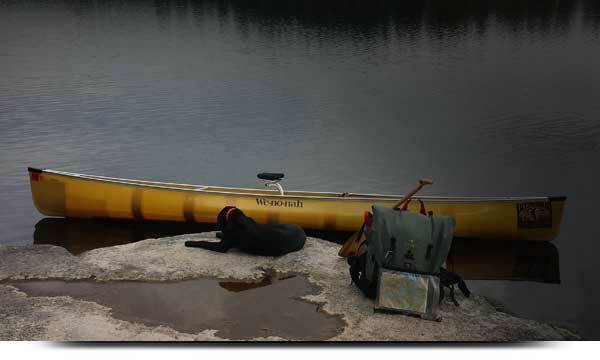 Our Piragis Northwoods Company Boundary Waters Catalog has been supplying canoeists and campers since 1979 with top-quality equipment that you can easily pack and carry. Our goal is to make your canoe trip as enjoyable and easy as possible both in the water and on the trail. Our retail store in Ely, Minnesota is a destination for paddlers. 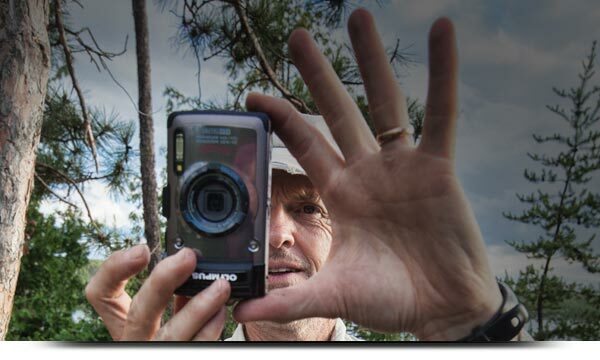 Want to experience adventure in the wild, but don’t have experience? Our Guided Group trips in the Boundary Waters provide unique opportunities for paddlers to travel by canoe as a group with a guide. Everything you need is included in the trip price. This is a fantastic way to meet new friends or take a vacation with your own group. From Howling with Wolves to our tremendously popular Smallmouth Bass Fishing Trips, we take care of all the details and gear. You show up with a change of clothes and your fishing rod and be ready to have fun! The Boundary Waters is our backyard. We spend time in the Wilderness. 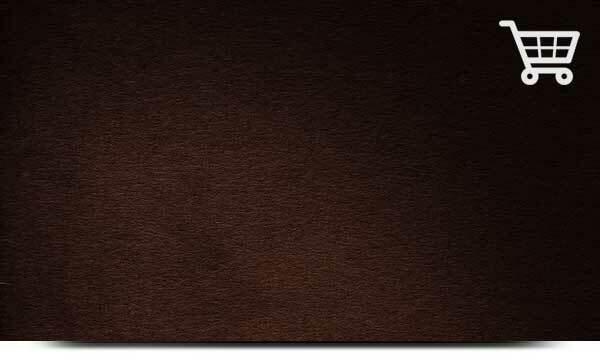 It sets us apart from outfitters who don't. 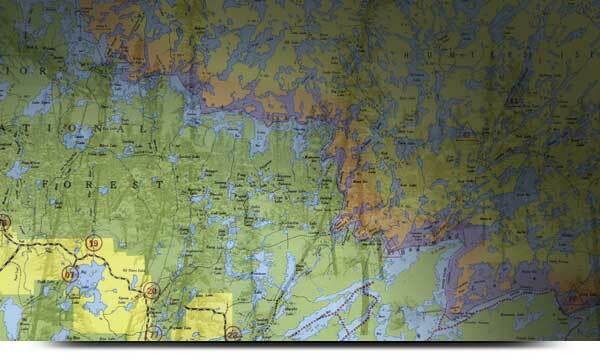 We know the Boundary Waters and Quetico because we paddle them. Routing a trip is a free service that we provide to our outfitting clients. We want you to have the kind of wilderness experience you've been dreaming of and we also want you to enjoy some pleasant surprises. Campsites, pictographs, great views, even hot fishing spots you might never have imagined lay just around the next bend. Our mission is to enhance the appreciation of wild shores and help to preserve nature along rivers and lakes. Educating and enabling paddlers with the help of high quality, efficient and affordable gear is part of this goal. "Rent before you buy" is always an option with our Outfitting department. Take our gear for a test drive on a trip! Ely Minnesota Boundary Waters Canoe Trip Outfitting is award-winning at Piragis Northwoods Company and the Boundary Waters Catalog. 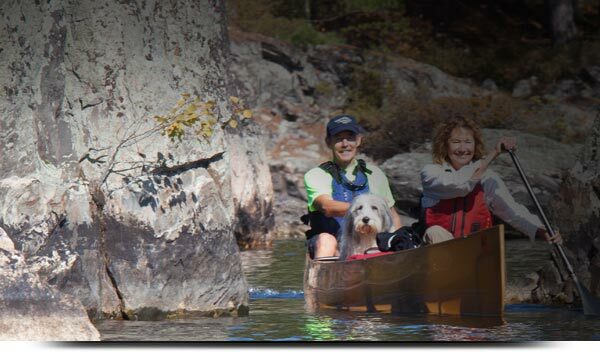 We are Kevlar Canoe Outfitters and lo, those many years ago, we brought lightweight kevlar canoes to town with the help of our friends at Wenonah Canoe. The older you get, the more you can appreciate the 20 or more pound savings that durable kevlar brings to the portaging table. Sigurd Olson once picked up one end of a canoe for sale at our retail store here in Ely, Minnesota and said to his wife, "Elizabeth, if we'd had one of these, we could've gotten back in to Crab Lake a whole lot more often!" That is what it is really about, giving you more of the wilderness experience. That twenty or thirty pounds off your back can take you farther into the wilderness, perhaps even to the serene Quetico Provincial Park in Canada. Our portage packs are comfortable and streamlined to carry all the gear you need for a weekend canoe trip or two weeks in paradise. Vacations are a major expense in all our budgets, and we want you to experience the vacation of a lifetime. Our goal is to help you achieve a Boundary Waters Experience that will guarantee you return to Ely and visit another lake. You can have your own private lake after just a day of paddling into the wilderness, where your visitors may include the loon, moose, American eagle and more with the black bear and timberwolf nearby. It is a place of pristine beauty where you can still drink the water in many places and canoe campers that visit respect the rules that protect it. Some folks might spell the Boundary Waters like Boundry or B-Dub or BWCA or BWCAW (Boundary Waters Canoe Area Wilderness). It is a great place to travel, and Ely, Minnesota, the canoe capital of the world, is right on its doorstep. If you love the outdoors and camping, you've got to try canoe camping. Propelling yourself under your own paddling power across lakes and rivers to reach campsites that take your breath away is an addicting experience and other vacations pale in comparison. It is a great thing to do with your family. The world of paddlesports is constantly growing and through it all, we've been your dependable source for Wenonah Canoes, Current Designs kayaks, Perception kayaks, Northstar canoes , Wilderness Systems kayaks, Pakboats, folding canoes, folding kayaks and SUPs. At Piragis Northoods Company we outfit you with the gear you need. Lightweight durable gear for Boundary Waters Camping: Tarps from Cooke Custom Sewing, made right here in Minnesota, Granite Gear packs, Gransfors Bruks Axes, Boundary Waters Canoe Pants, Big Agnes Sleeping Bags and Sleeping Pads, Base Camp Microfilters, Crazy Creek Chairs, Bending Branches Paddles, books for reading enjoyment and Boundary Waters Guidebooks, McKenzie Maps, Fisher Maps and Voyageur Maps. 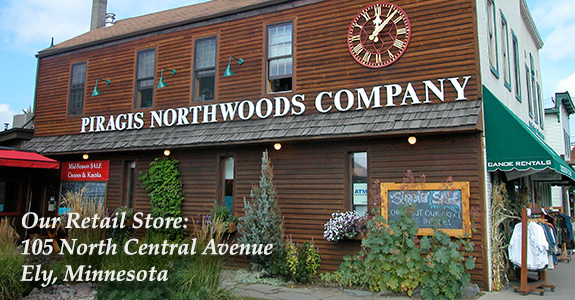 We make a special effort to stock Northwoods Gifts and Cabin Decor to make your trips to Ely even more memorable. If you've got a destination besides the Boundary Waters when you arrive in Ely, we hope it is Piragis Northwoods Company. 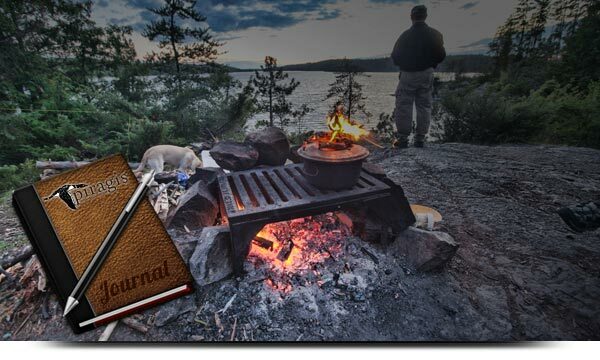 Online we strive to give you excellent service with the Boundary Waters Catalog. Our attention to detail and care in packing begins with taking your order whether we download it or speak with you in person on our toll free telephone line 1-800-223-6565. Most packages we ship the same day we receive your order and we make a special effort to carry every piece of gear you need or want, to make your wilderness adventure or your recreational paddling experience a success.